It’s always exciting to try and then create your own new recipe. 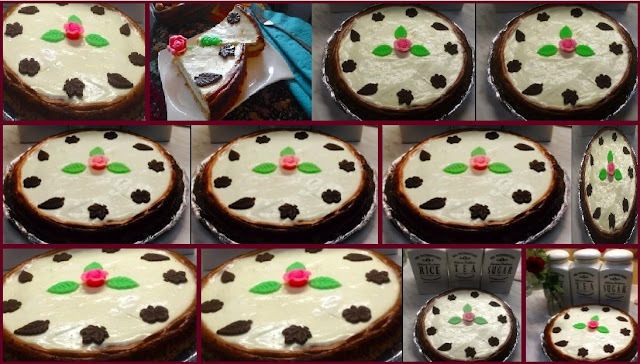 After baking a range of cheese cakes, the blue berry, the custard, the raspberry, the pudding cheese cakes I have tried and made this New Yorker style cheese cake which is famous for its sour frozen taste. 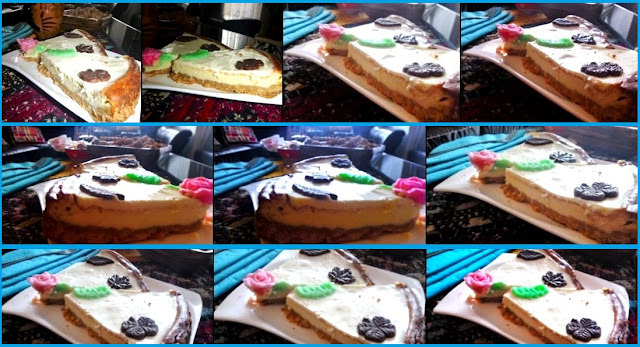 I got this recipe from my neighbors and then I adjusted it according to the taste I liked. Some amount minus and some plus and this is really the best what came out. I have baked it 5-6 times till now in the last 8 weeks and it was always gone till the last piece. The amount makes a nice even and not so thick cake, and if I want to make it larger in size I just double these ingredients. You can make tarts and pies and cup cakes using this recipe, it’s SUPER DUPER in every way! Usually digestive biscuits are used for the bottom, but you can use the butter biscuits as well, I use both whatever is at hand but take care not to use too sweet biscuits. Just put them in a plastic bag, and roll over with a rolling pin and crush right to left. 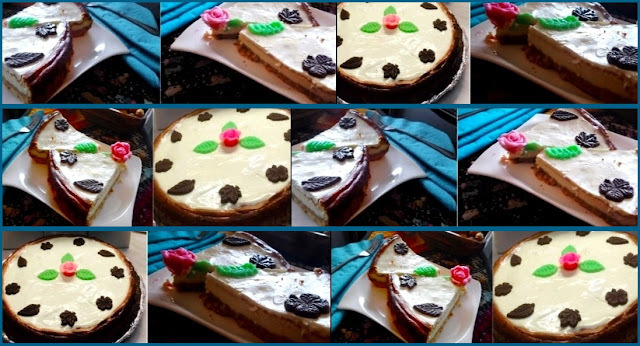 -now add the egg, the liquid cream and the lemon juice and DON’T use the hand mixer, just mix it with the spatula gently till all forms a creamy structure . -now make the glaze, don’t make it ahead as the sour cream and sugar will leave water and it will become too runny! This should chill at least 6 hours, I usually bake a night before so it has enough time to chill the whole night.